Combusken in game: 309 Who? Important notice! 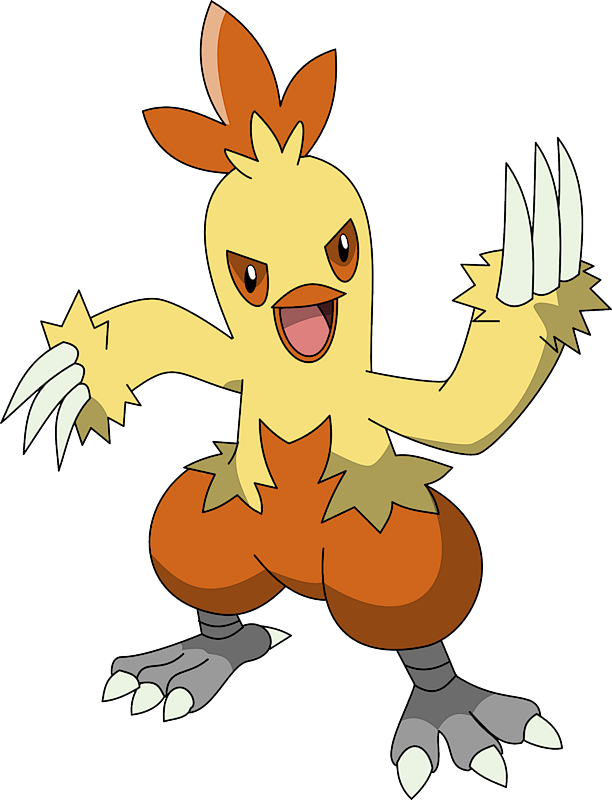 Pokemon Combusken is a fictional character of humans. 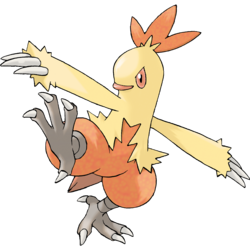 May's Torchic evolved into a Combusken in A Shroomish Skirmish, and long after into a Blaziken in Once More with Reeling! Combusken first appeared in Having a Wailord of a Time. The Nurse Joy of Slateport City was keeping a Torchic, Treecko and Mudkip for a girl who was going to start being a Trainer. The Torchic evolved and had to be hidden. After the Combusken saved a Wailord, Nurse Joy decided to keep it as a guard for her Pokémon Center. 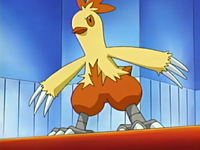 Sapphire's Torchic that she received from her father, Professor Birch, evolved into a Combusken before her challenge of Gym Leader Brawly, and won against his Hariyama even after her partner Rono had nearly collapsed. 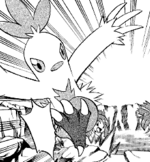 After undergoing much training and being used against fights against the likes of Team Aqua and in friendly bouts against Flannery, it evolved again to a Blaziken battling Winona, though it failed to win. Combusken toughens up its legs and thighs by running through fields and mountains. 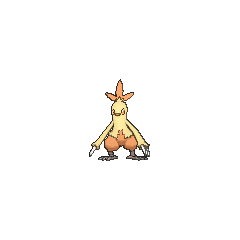 This Pokémon’s legs possess both speed and power, enabling it to dole out 10 kicks in one second. Combusken battles with the intensely hot flames it spews from its beak and with outstandingly destructive kicks. This Pokémon’s cry is very loud and distracting. Increases damage done by any Fire types in a combo.